Catherine Gordon was born on 26 January 1751. She was the daughter of Cosmo George Gordon 3rd Duke of Gordon, 6th Marquess and Lady Katharine Gordon. Catherine Gordon died on 3 January 1797 at the age of 45. Catherine Gordon was born say 1722. 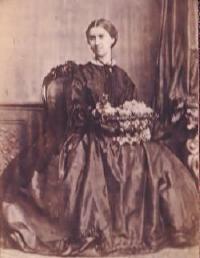 She was the daughter of Alexander Gordon 2nd Duke of Gordon, 5th Marquess and Lady Henrietta Mordaunt. Catherine Gordon married Francis Wemyss on 12 September 1745. Catherine Gordon died on 21 January 1786. Charles Gordon was born circa 1715. He was the son of Alexander Gordon 2nd Duke of Gordon, 5th Marquess and Lady Henrietta Mordaunt. Charles Gordon died on 26 April 1780 in Edinburgh unmarried. Charles Gordon 1st Earl of Aboyne was the son of George Gordon 2nd Marquess of Huntly and Anne Campbell. Charles Gordon 1st Earl of Aboyne died in March 1681. 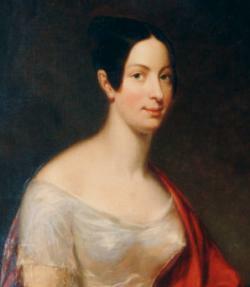 Charlotte Gordon was born on 20 September 1768 in Gordon Castle. She was the daughter of Alexander Gordon 4th Duke of Gordon, 7th Marquess, 1st Earl of Norwich and Jane Maxwell. Charlotte Gordon was christened on 23 October 1768 at Bellie.1 She married Charles Lennox 4th Duke of Richmond, son of Lt. Gen. Lord George Henry Lennox and Louisa Kerr, on 9 September 1789. Charlotte Gordon died on 5 May 1842 in Upper Portland Street, London, at the age of 73. Charlotte Gordon was born in September 1724. She was the daughter of Alexander Gordon 2nd Duke of Gordon, 5th Marquess and Lady Henrietta Mordaunt. Children of Charlotte Frederica Zébée Gordon and Maj. Gen. Roger Stewart Beatson R.E. [S89] Family Search, Parish Records 1813-40, Film 1041250. [S117] The Times Newspaper, Monday, Aug 13, 1917; pg. 1; Issue 41555. Elizabeth Gordon was born circa 1716. She was the daughter of Alexander Gordon 2nd Duke of Gordon, 5th Marquess and Lady Henrietta Mordaunt. Elizabeth Gordon died in 1769. [S205] Newspaper, The Argus, 16 January 1900. [S89] Family Search, Parish Records 1838-1842, Film 0307736. [S205] Newspaper, Freeman's Journal and Daily Commercial Advertiser, 5 October 1883. Frances Isabella Ker Gordon was the daughter of Vice Admiral William Gordon and Frances Ingram. Frances Isabella Ker Gordon died on 2 September 1831 unmarried. George Gordon was baptised on 27 January 1752. He was the son of Cosmo George Gordon 3rd Duke of Gordon, 6th Marquess and Lady Katharine Gordon. George Gordon died on 1 November 1793 at the age of 41 unmarried. George Gordon, 5th Earl of Huntly was the son of George Gordon, 4th Earl of Huntley, Earl of Moray and Elizabeth Keith. George Gordon, 5th Earl of Huntly married Anne Hamilton, daughter of James Hamilton, 2nd Earl of Arran, Duke of Châtellerault and Margaret Douglas, before 24 March 1558.1 George Gordon, 5th Earl of Huntly died on 20 October 1576. [S135] George Edward Cokayne, Complete peerage, VI p. 678. George Gordon 1st Duke of Gordon, 4th Marquess of Huntly was born circa 1649. He was the son of Lewis Gordon 3rd Marquess of Huntly and Mary Grant. George Gordon 1st Duke of Gordon, 4th Marquess of Huntly married Lady Elizabeth Howard, daughter of Henry Howard 6th Duke of Norfolk, Earl of Norwich, in October 1676. George Gordon 1st Duke of Gordon, 4th Marquess of Huntly died on 7 December 1716 in Leith. George Gordon 1st Marquess of Huntly was born in 1562. He was the son of George Gordon, 5th Earl of Huntly and Anne Hamilton. George Gordon 1st Marquess of Huntly married Henrietta Stewart, daughter of Esmé Stewart, 1st Duke of Lennox and Catherine de Balsac, in 1588. George Gordon 1st Marquess of Huntly died on 13 June 1636. George Gordon 2nd Marquess of Huntly was born after 1588. He was the son of George Gordon 1st Marquess of Huntly and Henrietta Stewart. George Gordon 2nd Marquess of Huntly married Anne Campbell, daughter of Archibald Campbell 7th Earl of Argyle, circa February 1607. George Gordon 2nd Marquess of Huntly died on 22 March 1649. George Gordon 5th Duke of Gordon, 8th Marquess, 2nd Earl of Norwich was born on 2 February 1770 in Edinburgh. He was the son of Alexander Gordon 4th Duke of Gordon, 7th Marquess, 1st Earl of Norwich and Jane Maxwell. George Gordon 5th Duke of Gordon, 8th Marquess, 2nd Earl of Norwich married Elizabeth Brodie, daughter of Alexander Brodie of Arnhall, on 11 December 1813.2 George Gordon 5th Duke of Gordon, 8th Marquess, 2nd Earl of Norwich died on 28 May 1836 in Belgrave Square, London, at the age of 66 upon his death the Dukedom and the Earldom became extinct but the Marquessate passed to his kinsman, George, 5th Earl of Aboyne. [S17] John Gask, Les Jumelles and their families, p.84. [S470] Scotland, Old Parish Registers, 126/ 0020 0098. 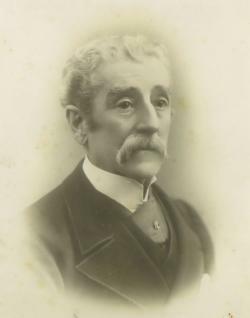 George Gordon Master of Huntly was the son of George Gordon 2nd Marquess of Huntly and Anne Campbell. George Gordon Master of Huntly died on 2 July 1645 in Alford dsp unmarried. [S205] Newspaper, The Argus, 20 July 1953. [S430] Constance Oliver and John Malcolm Bulloch Skelton, Gordons under Arms, p. 134. [S205] Newspaper, The Aberdeen Journal (Aberdeen, Scotland), Wednesday, August 28, 1867. [S205] Newspaper, The Argus, 27 June 1867. [S205] Newspaper, The Argus, 22 February 1907.